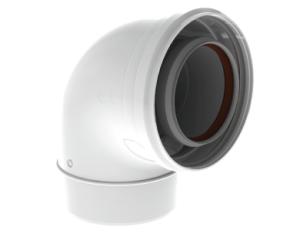 Twinline is a robust PP-flue system for high-efficiency boilers. The plain grey Twinline system is easily applicable for setting up condensing appliances. 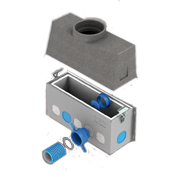 The modular system consists of a limited number of components to build a reliable PP-flue system in no time. 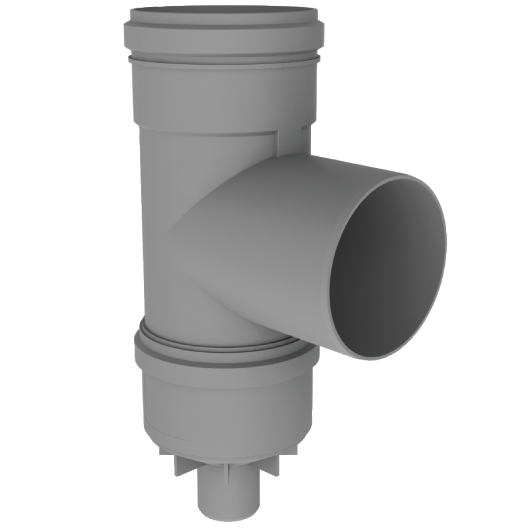 Fast: PP pipes are lightweight, simply made-to-fit and easy to install. Safe: No sharp metal edges that could damage or hurt you. Clean: No corrosion of aluminium, so less pollution in the high-efficiency boiler. Sustainable: The high-grade Twinline material is condensate-resistant and tested for long-life With CE and ULC approval. 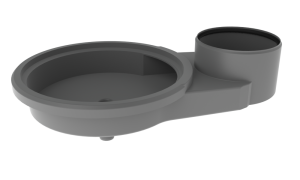 Twinline is a modular system of high-quality moulding parts. This leaves the inner wall completely smooth and the flue discharge will be optimal, because it is unhampered by edges from the welding. 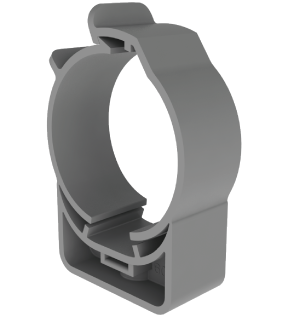 The fact that the parts are not welded is also a guarantee of their perfect dimensional stability. Twinline elbows not only have a perfectly smooth inner wall, but they are constructed in such a way that condensate cannot remain behind. All elbows are fitted with a clever discharge flume. Influence of condensate is thus prevented, which is favourable for sustainability. 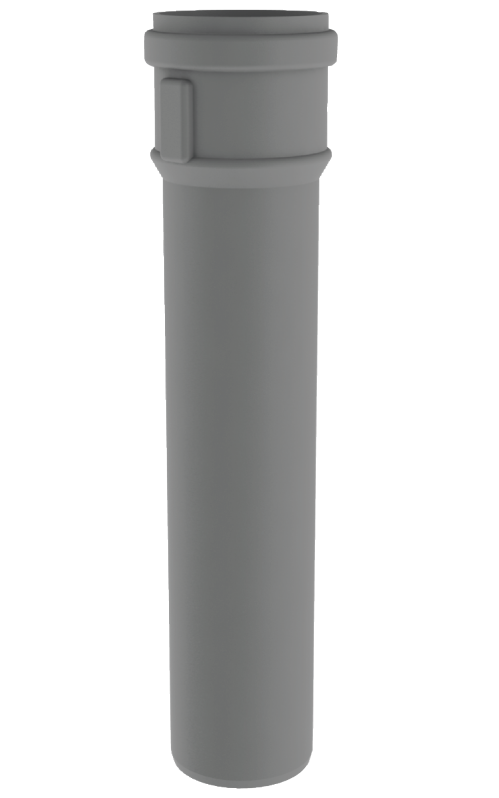 A robust, even grey Twinline flue system can be put together quickly. The practical basic and extension kits make ordering the necessary kit unbelievably easy. Note: First, consult boiler manufacturer specifications for the correct diameters and lengths.